Super Star Rajinikanth enjoys a worldwide craze. The actor is always first in creating a buzz for his movies at the box office. Every film of his does great at the box office and the pre-release biz just set new records. 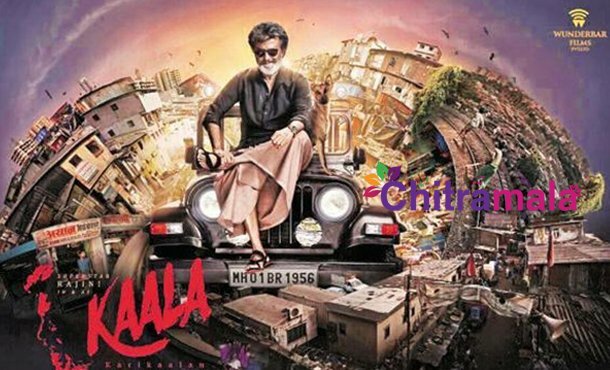 The latest movie Kaala also created a new record even before the release now. The inside buzz is that the pre-release business of the film is Rs 230 crore rupees. The makers sold the film for 70 crores in Tamil, 33 crore rupees in both the Telugu states. The film is sold for ten crores in Kerala and 7 crores in the rest of India. The overseas rights of the movie were sold for 45 crores and the whole theatrical rights came around 155crores. The broadcasting rights were sold at 70 crores and the music rights were sold at 5 crores. If the film does well in Karnataka, the film will bring in 20 crore rupees. The movie is releasing tomorrow.